Is it really your candidate taking the interview? 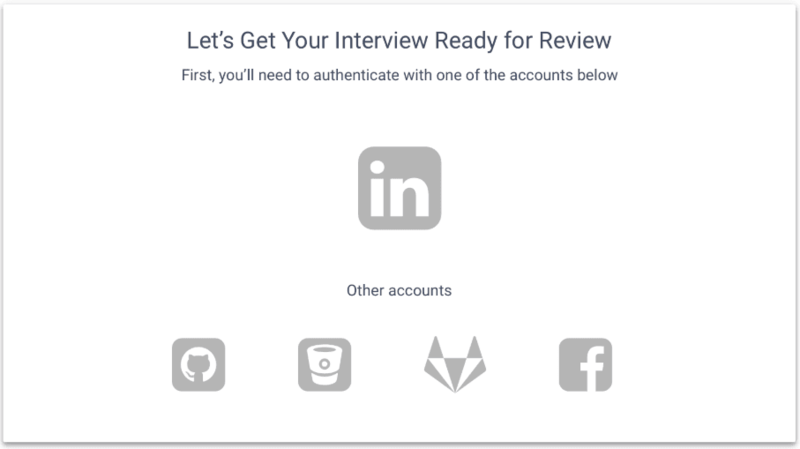 Filtered authenticates candidates using Linkedin, Github, Bitbucket, or Gitlab (and optionally Facebook). Linkedin is the most used professional profile platform in United States. If a candidate doesn’t have a Linkedin profile, it is highly unlikely that this candidate is working in the industry or looking for job seriously. Github, Bitbucket, and Gitlab are the most common platforms that developers use for programming work and open source contribution. For experienced developers, they usually have many public or private repositories that live inside Github. When a candidate submits their interview, they must connect one of these social media accounts. The hiring manager will be able to view the candidate's connected account. Through this authentication process, you can make sure the candidate taking the interview is really your candidate. Occasionally, candidates create a new Linkedin profile just to submit and then delete it afterwards (similarly, they may use an empty Github for the authentication). In both cases, we include the report inside your Confidence Analysis and let the you make the judgement call.